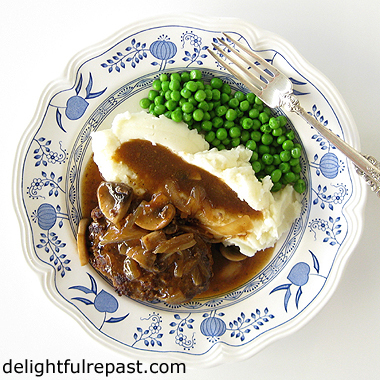 Salisbury Steak recently popped into my head on a day that was just calling out for good old-fashioned comfort food. Nothing fancy, expensive or complicated; just good and satisfying. Salisbury Steak was the invention of a 19th-century American physician. A great proponent of the health benefits of beef, Dr James Henry Salisbury recommended that his “steak” be eaten three times a day. Though three times a day is a bit much for me, I do enjoy Salisbury Steak occasionally. Of course, if the only version you’ve ever had is the TV dinner (with painted-on "grill marks") or school lunch sort, you’re probably gagging right now. The elementary school I went to up to age 9 did quite a good job of most things on their menu, but the one after that had such bad food I nearly cried on my first day there. Anything with ground beef in it was especially bad. It must have been the absolute lowest grade of beef allowed to be served to humans. I quickly learned to chew carefully so as not to break a tooth biting down on a piece of bone. Needless to say, more often than not I brought my lunch on Salisbury Steak days. I always use organic grass-fed ground beef. Besides all its other benefits, it just tastes better. Read about the blind tasting I conducted in my Big Bad Burger Throwdown post. Mr Delightful likes my Salisbury Steak so much he insisted on opening a rather decent bottle of pinot noir to go with it! It was a good pairing. And can anything be called comfort food without my favorite accompaniment, Perfect Mashed Potatoes? What do you like to make on those days when only classic comfort food will do? 1 In medium bowl, mix together ground beef, breadcrumbs, egg, ketchup, dry mustard, salt, pepper, marjoram and Worcestershire sauce. Using 2/3-cup measuring cup, divide mixture into 5 equal portions and shape into oval patties about 5 inches long and 3/4 inch thick. 2 Heat (I mean really heat!) a large skillet*, add butter and oil, and brown the steaks well (I mean really well!) over medium-high heat, about 5 minutes on each side. Transfer steaks to a plate and pour all but about 2 tablespoons of the fat from the pan. Do not clean it! Add the onion and cook over medium heat, stirring frequently and scraping up the tasty brown bits in the pan, until soft and golden, about 5 minutes. Add mushrooms to the pan, and sprinkle with the salt and pepper. Cook, over medium heat, stirring frequently, until tender, about 10 minutes. * I use this All-Clad 6-Quart Saute Pan (12-inch, 2.75 inches deep, straight sides). Being stainless steel with no nonstick coating, you can get it really hot to put a brown crust on things. I can't imagine that my gravy would have turned out so beautifully brown if the steaks hadn't been browned really well, leaving fabulous fond in the pan. And its straight sides mean a large surface area for cooking. 3 Add beef broth, ketchup and Worcestershire sauce to skillet. Mix well, bring to a boil. Reduce heat and stir in cornstarch mixture. When sauce begins to bubble and thicken, add steaks back to pan. Cover loosely and simmer for about 15 minutes, stirring occasionally, to heat through. When 2 or 3 minutes remain, taste and adjust seasoning. That looks truly comforting and delicious! Happy New Year, Jean! Thanks, Angie. Hope you have a wonderful 2018! The Salisbury steak of my elementary school days didn’t need painted on grill marks, it came from hell. Glad you’ve redeemed the recipe, but Doc Jim Henry may have created more patients than he cured, and my OSHO. But I do enjoy your glimpses into history (yours and others) as well as Mr. Delightful’s takes while I eat my PB&J sandwiches. Thanks, Sully. I had a PBJ (hold the bread and jelly) for lunch yesterday. I'm not a big meat eater, so I can't imagine following the good doctor's beef-three-times-a-day diet! This steak would do very nicely, but we are more often eating a succulent rabbit pot pie for a cold day when we need a meal to take the chill off. Mrs Shoes, I've never had rabbit pot pie, but pot pies of all sorts are definitely my idea of great cold-weather comfort food! Hummmm,it looks just wonderful...Perfect for a Happy New Year!Hugs,Jean!Congratulations for your wonderful blog,really delightful! Thank you, Maristella! I find your blog perfectly delightful as well - anyone who loves pretty china would! Wishing you a wonderful 2018. I never knew that the dish was invited by a doctor. I can't recall the last time that I had Salisbury steak...it was not a staple at my school, but I have tried it out as a TV dinner. Enjoy the last few days of 2017, Jean! Ooh Jean, I LOVE Salisbury steak, and mashed potatoes is the perfect accompaniment. I'll have to give your recipe a try. 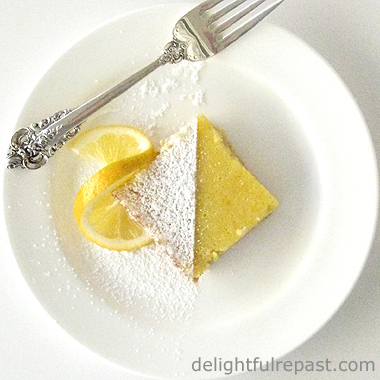 Thank you for sharing, and a very Happy New Year to you and Mr. Delightful! Margie, I didn't know that either until recently. He was a doctor in the Civil War. I hope you have a wonderful 2018, with lots of tea outings! Thank you, Kitty. I just love mashed potatoes and gravy! I hope you'll try it soon and let me know what you think. Wishing you a wonderful 2018! Good comfort food and plated nicely, too! Thank you, Ellen. I do like a pretty plate of food! Quinn, I love that - "a revelation to me!" You'll have to let me know how it turns out for you and whether it was a cut above that TV dinner! An American classic comfort food, and I've never made it. And I've wanted to forever. I'll make it part of my New Year's Resolution. Your plate looks wonderful - love that nice big helping of peas. And thanks for the history - had no idea. Yes, indeed!! I could go for that beautiful dish of comfort. We've never made Salisbury steak here -- and we've made lots of beef. The closest we've done is make meatloaf with a gravy. And speaking of school lunch experiences, it was beef stew. I couldn't eat. This Italian girl had never tasted anything like it and for years I wouldn't touch the food. I now realize it was a terrible recipe. Happy New Year, Jean! Thanks, Lea Ann. I love peas! But they have to be fresh or frozen, can't stand canned. I have a school story about *that*, too! Let me know if you make this. Marisa, thank you. And, funny coincidence, that first day at the new school when I was nine and nearly cried at lunch - it was beef stew! My first school had done a rather decent job of beef stew with actual chunks of beef. The new school's beef stew was made with that horrible ground beef I was talking about. Thanks, Joanne. That's super! Hope you like it. It's faster and easier than meatloaf AND no need to run the oven. Oh yummmmmmm!!! I love a good salisbury steak and this sounds heavenly! Happy New Year, Jean! Thanks, Debbie! Glad to find another Salisbury steak fan! I have to admit when I first saw Salisbury Stake, I cringed just a bit thinking of my elementary days. But not doubt you've redeemed the shoe-leather-slathered-in-sauce, bringing it into the 21st Century with style...and taste! Happy New Year Jean! Thank you, Richard! Never fear, I would NOT bring you shoe-leather-slathered-in-sauce (love that description)! It sounds like a perfect comfort dish on a day in winter. Actually I've never has a dish described as a Salisbury Steak but it did stir up some memories for me. It reminded me of a restaurant that served something similar around 40 years ago but I'm pretty sure that it was made with lamb. But you also reminded me of just how terrible food at my school was and I haven't thought about that in a long time. I think I was trying to forget. Have a great new year. Thanks, Phil! Yes, school food can be shockingly bad! Why my first school could have decent food, then we moved and the school three miles from the first one had horrible food, I don't know. David, your last sentence is exactly the way I feel! Comfort food is the best. Jean, Wonderfully simple food! It looks so good. I find I have cooked more meat now that I have a well seasoned cast iron fry pan. With the right tool things work out better. Thanks for sharing. Sylvia D.
Jean, your recipe for Salisbury Steak really does bring back memories- high school cafeteria and TV dinners included. I haven't seen that dish on a restaurant menu in years (decades)! However, I never knew how it was prepared. When the meat is cooked really tender, Salisbury Steak is indeed real comfort food. Let us all unite and bring this dish back 'from the dead.'! Thanks, Sylvia. I agree, having the right tools in the kitchen really helps. Good point. Fran, thank you. United we cook! So many dishes have a bad rep because there are so many people (or frozen food companies) making very bad versions of them. Thank you, Miz Helen. Wishing you a wonderful 2018 as well. Happy New Year to you and family. I love this ultimate comfort food, Salisbury Steak is my hubby's favorite. Thank you, Swathi. With a good cook like you, I'm sure your husband has lots of favorites! This looks so delicious! Great comfort food especially with the weather so cold. Happy New Year to you! Thanks, Deborah! I made it again tonight at my husband's request! Hope you have a wonderful 2018. This looks delicious for these cold evenings. Happy new year! Mildred, thank you. We had it again last night. Very warming, indeed! Have a wonderful 2018. I have never quite figured out the difference in Hamburger Steak and Salisbury Steak, although I think there is. Your recipes look great and now I am hungry. Nikki, thank you! And I don't know the difference either. Major comfort food! thanks for sharing on our healthy eats blog party! Oh, that looks delicious, Jean! The only Salisbury Steak I ever made was in a crock pot. Yours sounds just wonderful and I will definitely make it next time I have a craving for it. Thanks for the recipe and Happy New Year! Jan, thanks. My pleasure! Will be checking out more of the links this week. Sandi, thank you. I hope you will. I made it again yesterday at my husband's request. He really loves it. Have a wonderful 2018. Victoria, thank you for sharing your (sad - lol) Salisbury steak story! No ligament type strands in *my* version! :D Now I'm going to have to look up bucket steak. I think y hubby would love this Jean! Thanks for sharing the recipe with SYC. 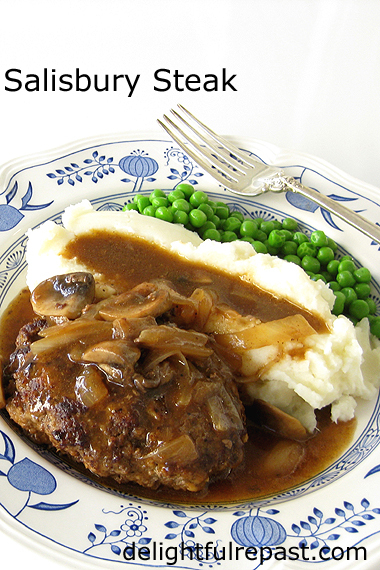 Salisbury Steak is the ultimate comfort food when it is done correctly like your recipe . This looks delicious Jean. I could just try this, it looks so tasty. Happy New Year :) Thanks for sharing at Creative Mondays. Thank you, and hugs to you, Jann! Gerlinde, thanks. I like your "when it is done correctly," as that makes all the difference! Claire, thank you, I hope you will try it. Wishing you a wonderful 2018. Happy New Year, Jean. I wish yourself and Mr Delightful a ,"delightful," new year ahead. I have never heard of ,"Salisbury Steak," before. I do love a nice steak. I once ate a steak with a pepper sauce, in a small family restaurant in the back streets of Paris one night many years ago. That came with a nice bottle of wine too. I do remember there was, what I thought, a rather large salt cellar postioned on the table. I like a sprinkling of sea salt. It was sugar. That was a ,"sweet," steak I can tell you. The pepper sauce was incredible though. Salisbury, the ancient Medieval city, is a must to visit when you are next over here, Jean. Salisbury Cathedral is one of the most perfect pieces of Gothic architecture I have ever seen. I'm not surprised you haven't heard of this one, Tony, since it's an American invention. You should really try it next time you have a package of good mince. But without sugar! I once got the salt cellar and sugar bowl in my own kitchen mixed up and put a tablespoon of salt on strawberries that were going on a dessert! Thanks for the travel tip. Wishing you and your girls a wonderful 2018. A true classic that always remains popular. Thanks, Karen. Anything with gravy is always popular at my house! Such a classic dish! I haven't had this in AGES. Decades. Truly can't remember the last time I made it. I've actually had it on my "to make" list forever -- I think your post will encourage me to move it way up that list! Fun stuff -- thanks. And Happy New Year! Thanks, John! I was just heading over to see your latest bevvie I just noticed on Twitter! Let me know when you make the Salisbury steak. This looks delicious, Jean, a proper meal! Just the thing for this cold, gloomy weather. Thanks, Amalia. I do love a "proper meal" when it's cold! One of my all-time favorite comfort food dishes ever!! I want that whole plate with mashed potatoes and peas please :) Looks perfect, Jean! Thank you, Marcelle. Now you have me thinking about having it for dinner again. I have two in the freezer! Annette, thank you. Love the #DreamTeam! Heather, thank you. I think you'll find it comes together rather quickly AND it freezes well, so you can do homemade freezer meals with it.